The connections tab allows you to search through all the people that have received a followup or responded. Once you've filtered, and selected the relevant leads, you have 5 options of what you can do with those leads (including Tagging, Exporting, or Auto-Following on Twitter). Read on to learn more. Twitter URL (see Twitter Campaigns for more info). Imported or Not Imported (see Nurturing Campaigns for more info). Quick Tip: If you're using Windows, you can use the 'Page Down' and 'Page Up' buttons (sometimes written as 'Pg Dn' and 'Pg Up') on your keyboard, to scroll up and down. If you're using Mac, you can scroll up and down with these combos: To scroll down: Press the 'Fn' + 'Down Arrow' keys. Or, to scroll up: Press the 'Fn' + 'Up Arrow' keys. 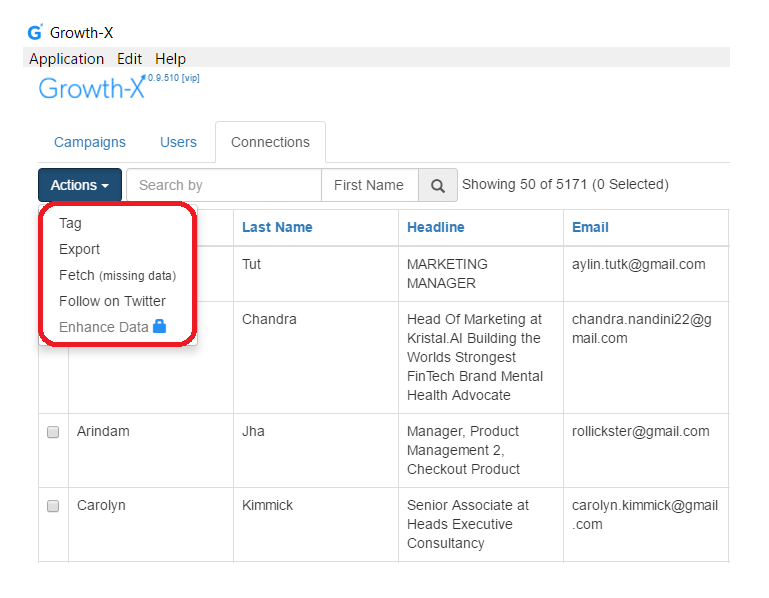 Once your target connections appear in your Search Results, you can also export them into a CSV file. 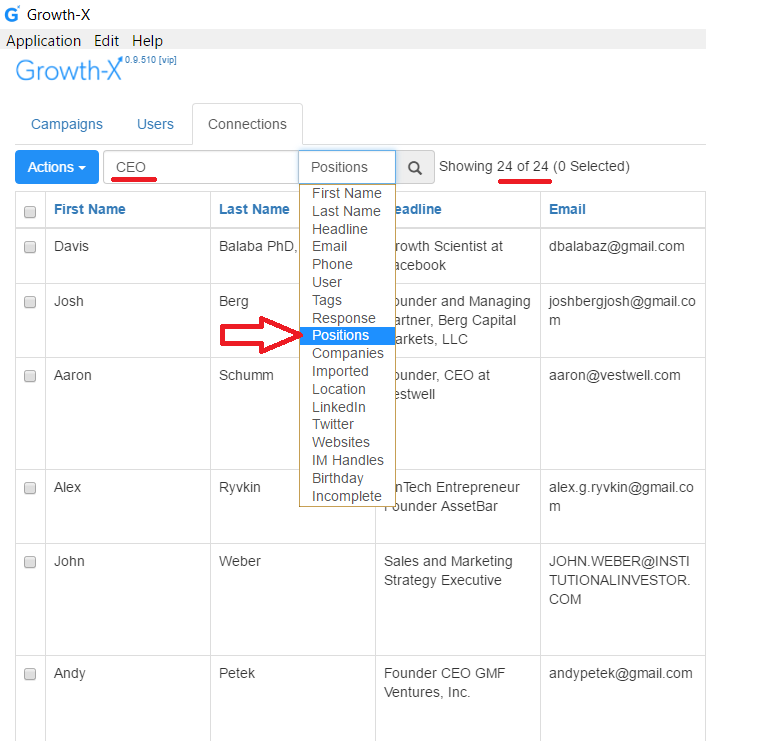 To do this, you can check the box next to each lead individually, or click the top check-box on the top-left to check all the currently-displayed leads with one click. Please note, that we display the first 50 results of your Search Parameters at a time, so to export more leads, you have to scroll down first (before clicking the check-box at the top).